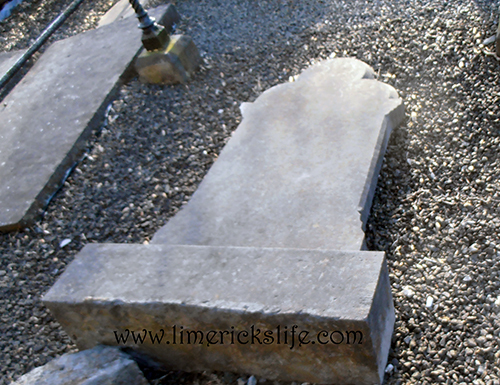 St. Mary’s Cathedral Graveyard is quite expansive and as such it has been recorded here in sections. You will see a description of how to reach each section below. 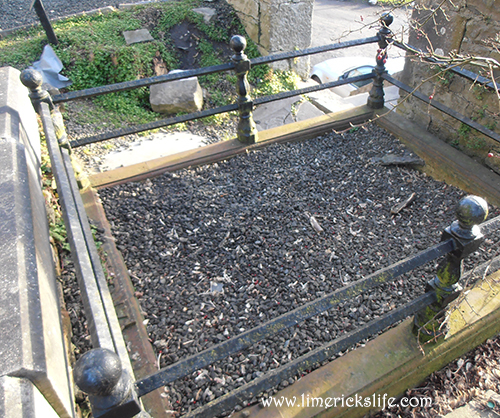 This will help if you wish to locate the grave on site. 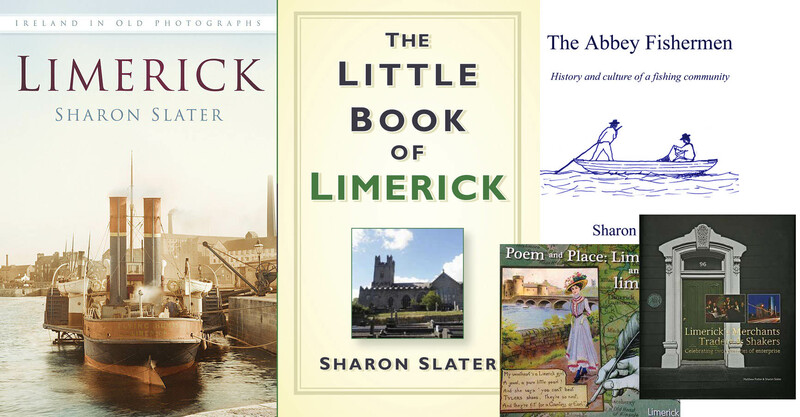 Where possible their obituaries from Limerick City Library Local Studies have been added. 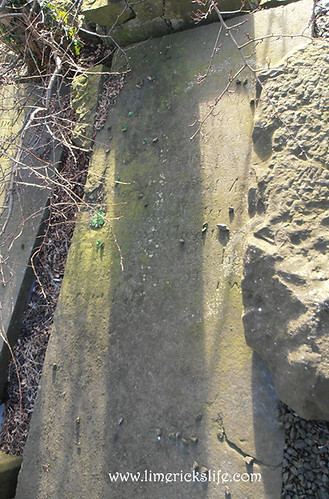 Section 1 – To the left of the Main Gate. 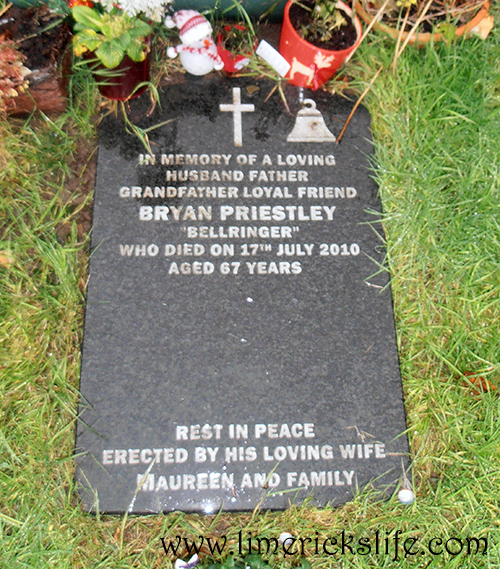 In memory of a loving husband father grandfather loyal friend Bryan Priestley “Bellringer” who died on 17th July 2010 aged 67 years. Rest in Peace. 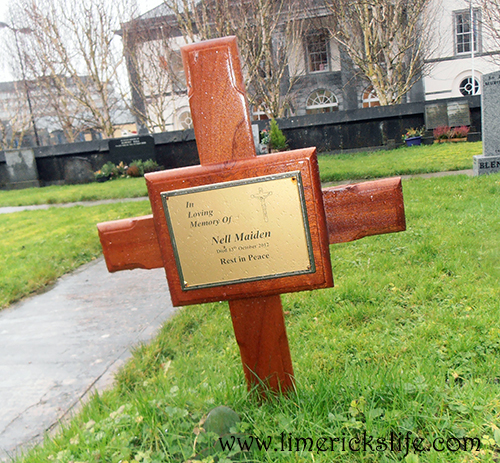 Erected by his loving wife Maureen and Family. In loving memory of Nell Maiden Died 13th October 2012 Rest in Peace. 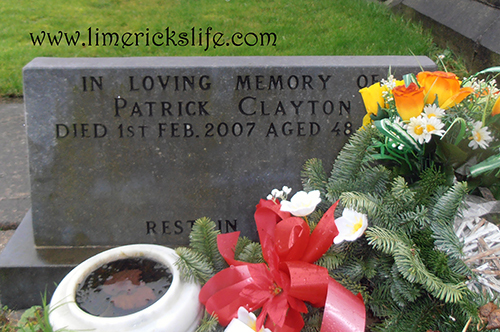 In Loving memory of Patrick Clayton died 1st Feb 2007 aged 48 years. Rest in Peace. 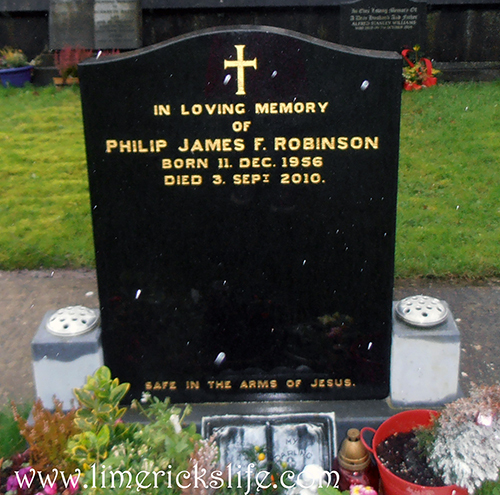 In Loving Memory of Philip James F. Robinson Born 11 Dec. 1956 Died 3 Sept 2010. 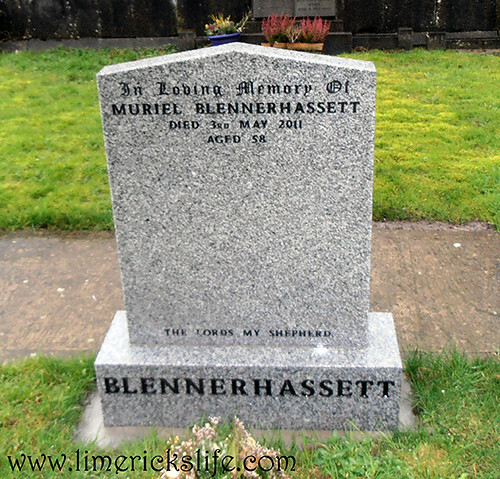 In Loving memory Muriel Blennerhassett Died 3rd May 2011 Aged 58. The Lords My Shepherd. 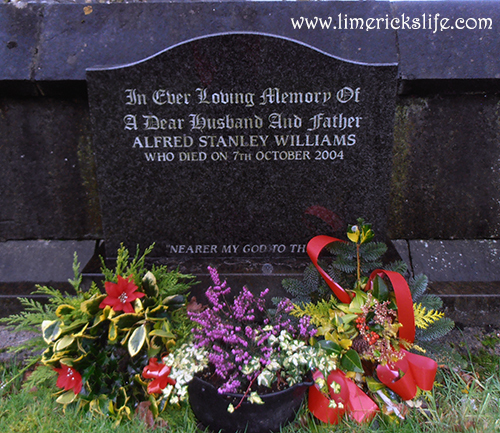 In Ever Loving memory of a dear husband and father Alfred Stanley Williams who died on 7th October 2004. Nearer my God to Thee. 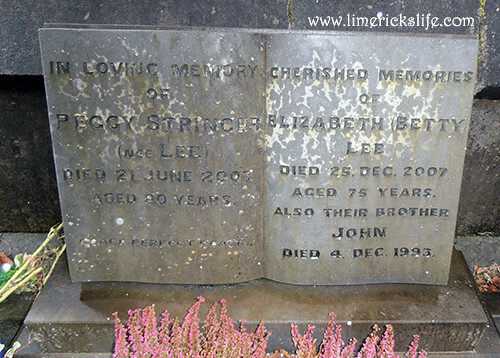 In Loving Memory of Peggy Strincer (nee Lee) Died 21 June 2003 aged 80 years. Place Perfect Peace. Cherished Memories Elizabeth (Betty) Lee died 25 Dec. 2007 aged 75 Years. Also their brother John died 4 Dec 1993. 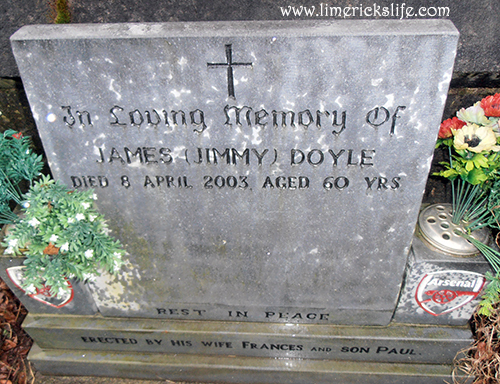 In Loving Memory of James (Jimmy) Doyle died 8 April 2003 aged 60 years. Rest in Peace. Erected by his wife Frances and Son Paul. 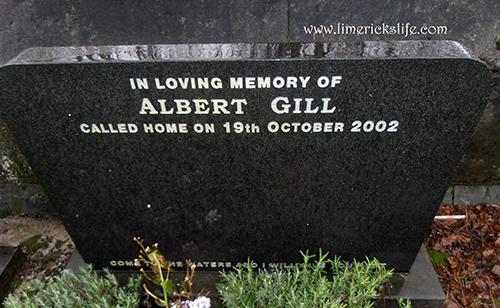 In Loving Memory of Albert Gill Called home on 19th October 2002. 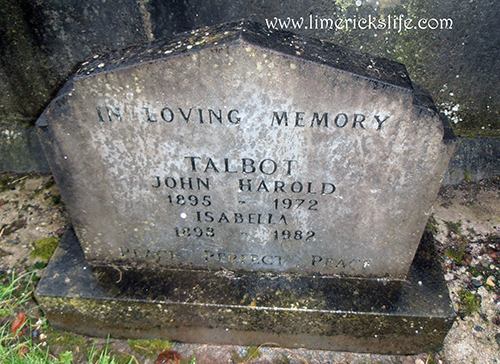 In Loving Memory Talbot. John Harold 1895 – 1972. Isabella 1893 – 1982. Place Perfect Peace. Kathleen Barclay-Russell Fairy Hill Parteen. 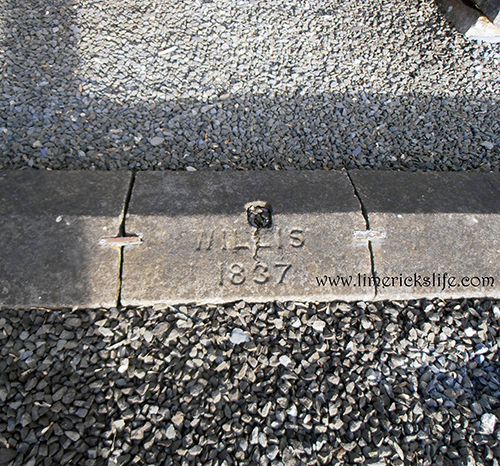 Born Cork 8th August 1903 died 6th May 2005. Daughter of Rev. George and Maud Baker. Beloved Mother of Eleanor and Kate. 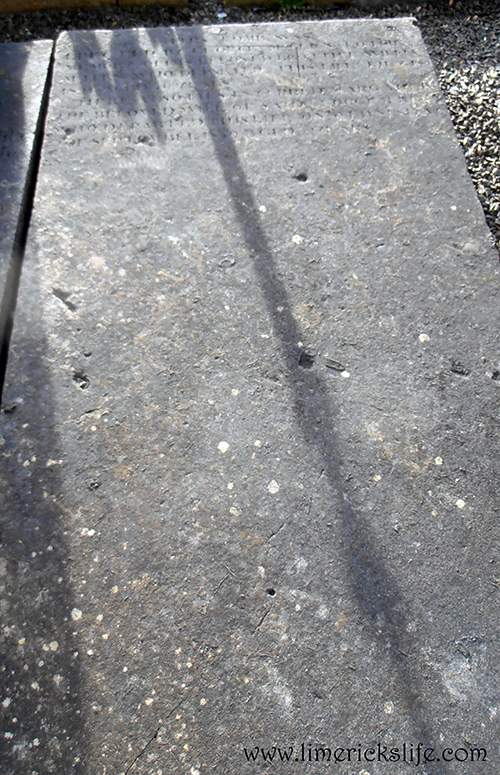 The United Nations Peace Garden, the names of those listed on this can be found on the United Nations Memorial post. 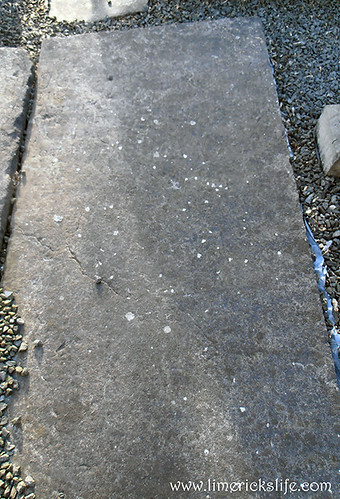 Section 2 – To the left of the Main Door of the Cathedral. 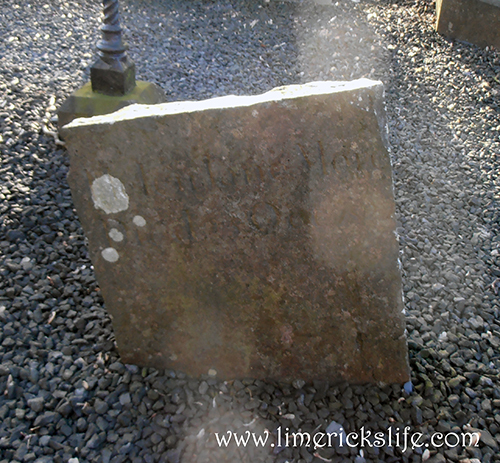 Sacred to the memory of Amos Frederick Vereker eldest son of Amos Vereker Esq. M.D. 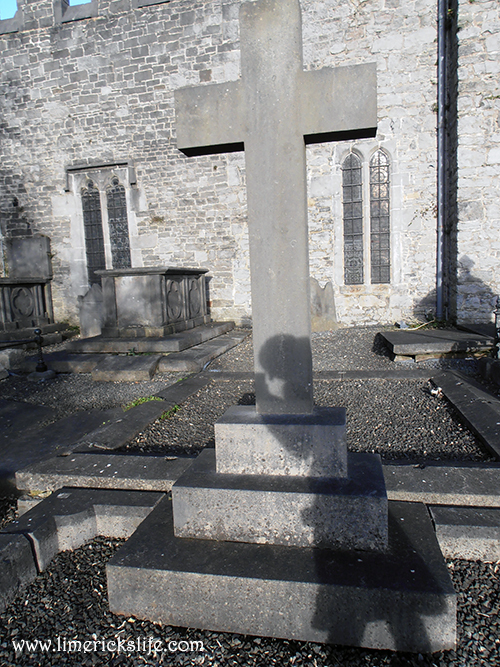 of this city who departed this life on the 4th Day of September 1842 aged 15 years. Also to their son Rev. Thomas Vereker MA TCD born 1827 died 1897. 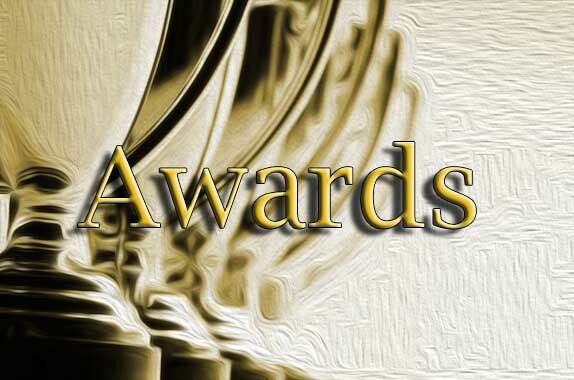 Also in memory of Amos Vereker M.D. 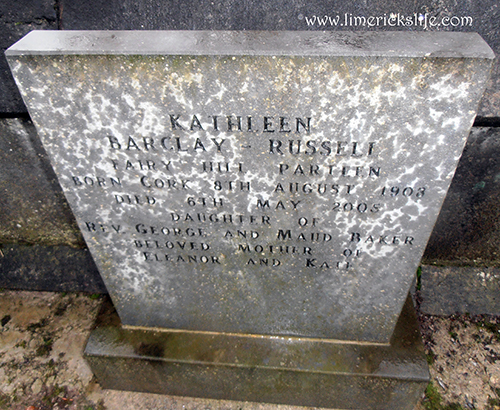 who died 17 March 1868 aged 80 years. And of Catherine his wife who died 25 July 1870 aged 82 years. 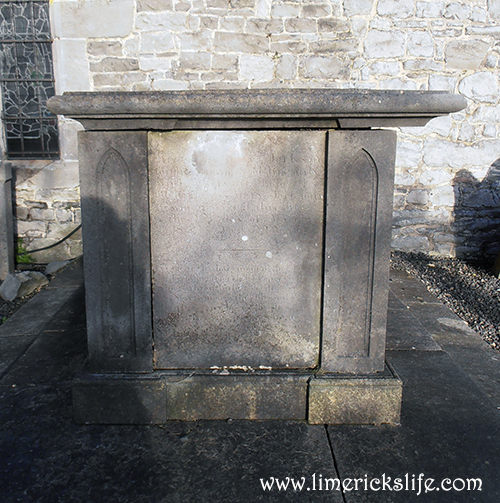 This tomb was erected by James Rutherford Browne proprietor of the Limerick Reporter memory of his two sons Christopher aged two years and George aged three months who both died in 1837 as also in memory of his brother Peter aged 30 years who died on the 16th day of January 1842. 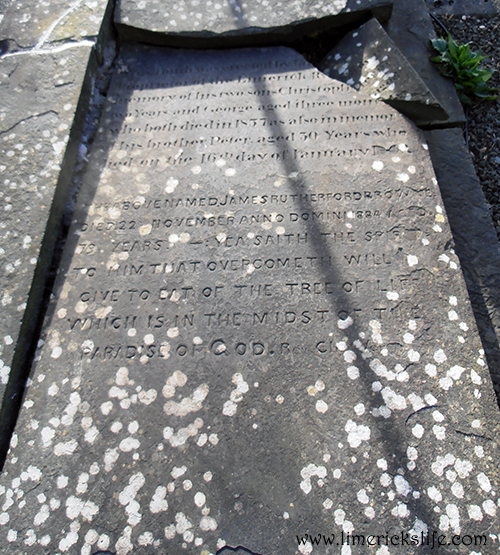 The above named James Rutherford Browne died 22 November Anno Domini 1884 aged 79 1/2 years – Yea Saith the Spirit to him that overcometh will give to eat of the tree of life which is in the midst of the paradise of God. Rev. Ch.. Ver.. The family vault Tho Dillon Master Mariner of this city of Link 1849. 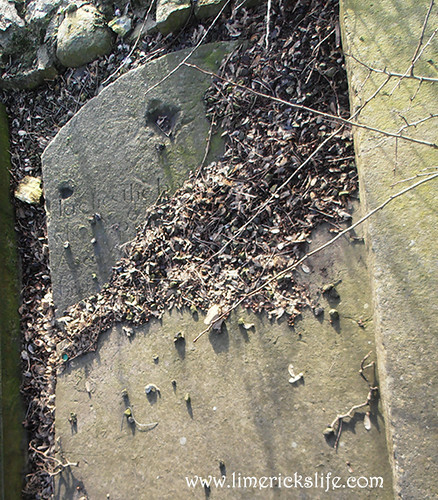 This tomb was erected by James Tierney of City of London Esq. 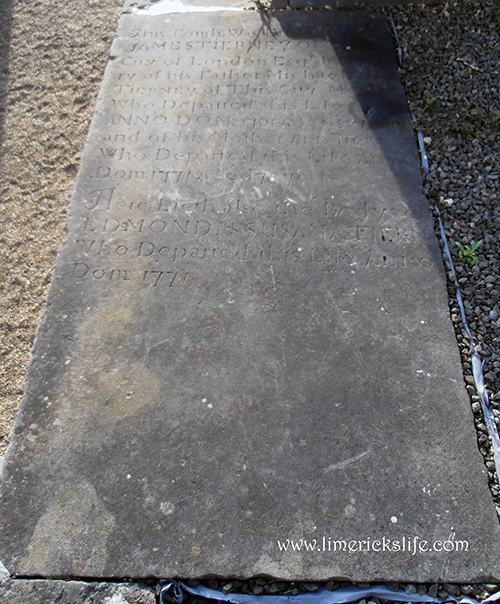 In memory of his father Michael Tierney of this city … Who departed this life Anno Dom 1761 aged 80y and of his Mother Ann Tierney who departed this life Anno Dom. 1771 aged 78 years. Here Lieth also the bodys of Edmond & Susan Tierney who departed this life Anno Dom 1771. 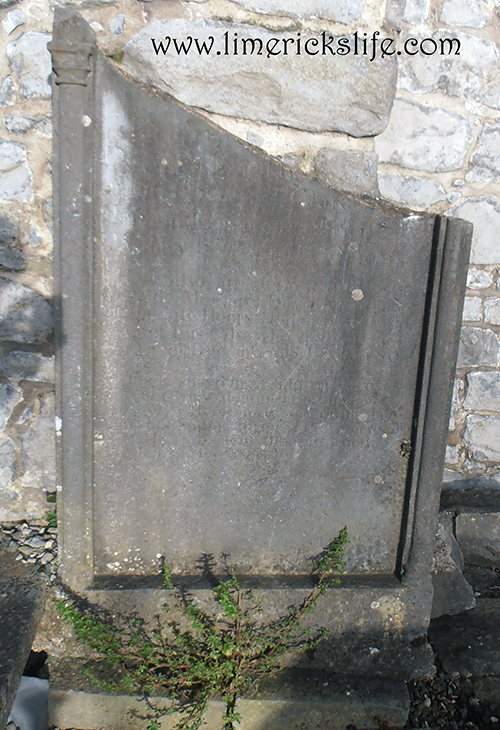 John Downes Esq… in the county of Clare departed this life on 31 Janurary 1831 aged 70 years. Here also are deposed those of his wife Margaret Downes daughter of the late Henry Holland Esq. 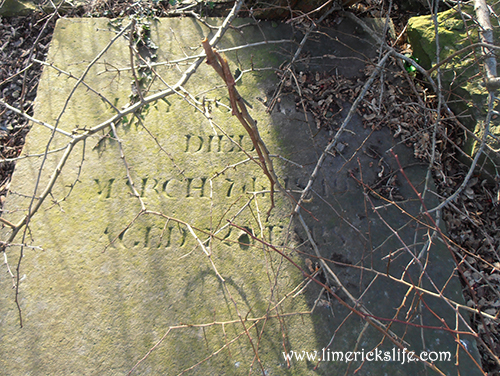 Alderman of this city who died 3rd day of December 1843 aged 80 years. 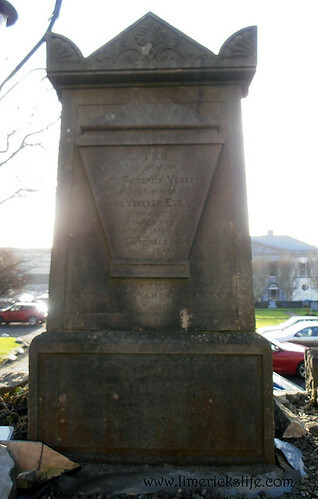 Their surviving children erected this monument in memory of kind affectionate and indulgent parents hoping through the morals of Christ to meet them in another and better world. 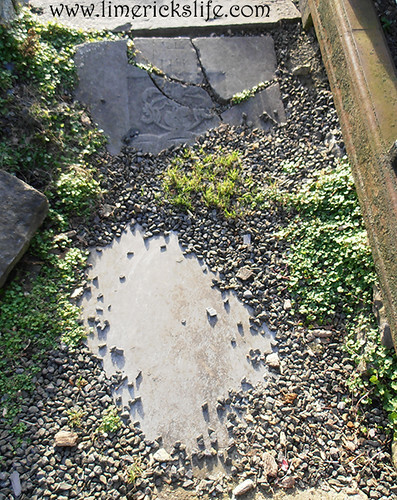 Here Leith mortal remains of Ralph Ouselly Esq. 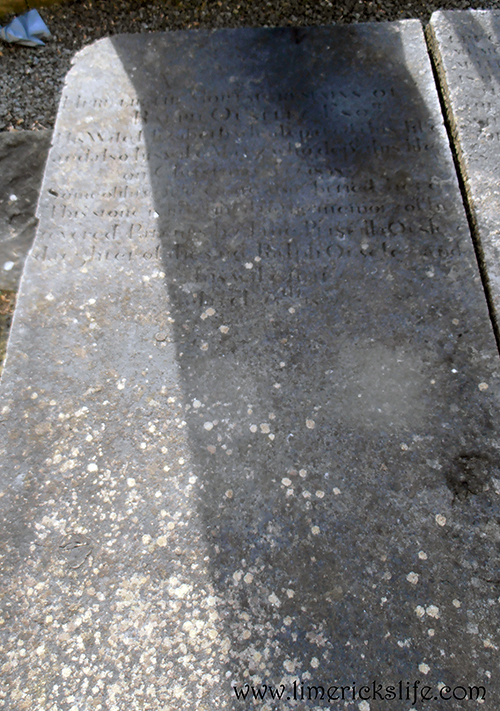 His Wife Elizabeth departed this life and also his … who depd this life … on Christmas day 1835. Some… buried here This stone inscribed to the memory of revered parents … Priscilla Ousley daughter of deceased Ralph Ousel and March 15th 18..
Catherine Franklin died 2nd December 1888 aged 83 Erected by her children. Edmond Knox Kirwan died August 4, 1868. 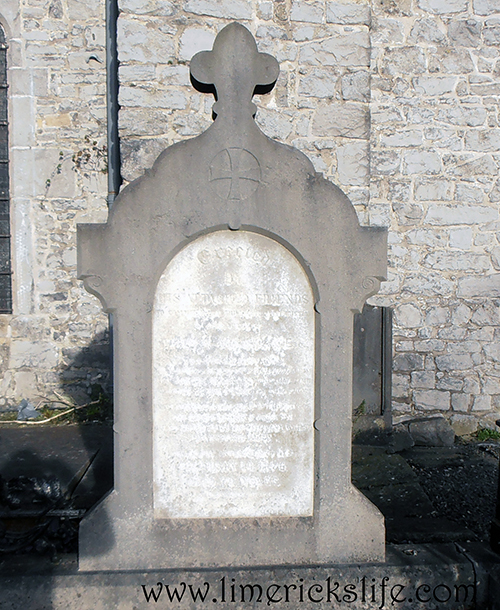 Florence Anne Kirwan died December 23, 1856. 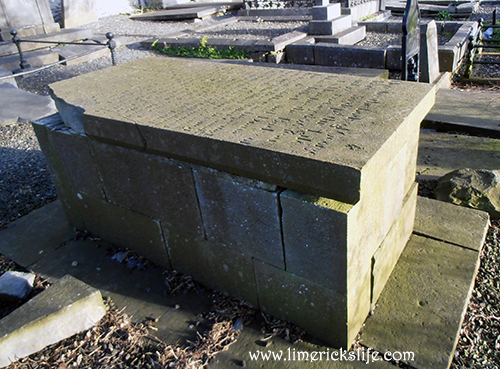 Walter Blake Kirwan died November 21, 1860. 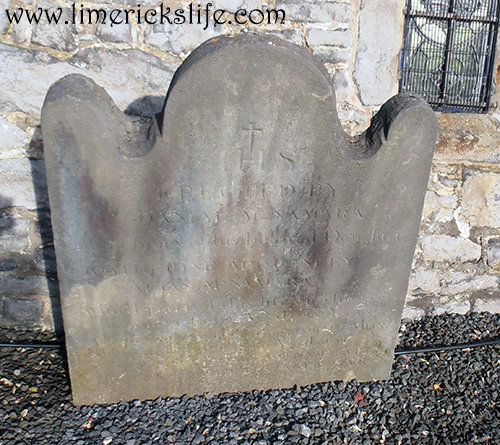 Anthony La Touche Kirwan died June 6, 1855. 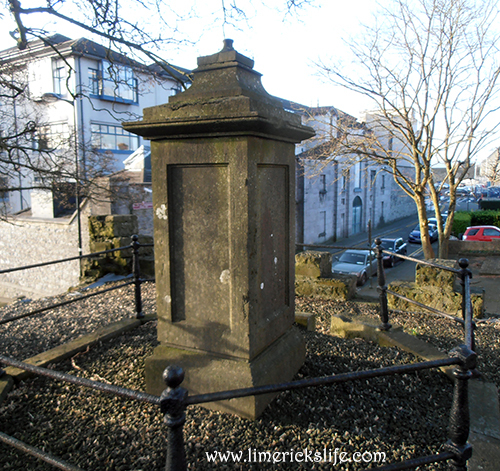 Erected to the memory of James Carroll Esq MD died on the 11 Sep 1837 aged 50 years. Doctor Carroll rose by his great talent to the highest rank in his profession and was a sincere and practical catholic when i pleased god to call him to a better place worled his death was universally felt as a public loss to hid attached wife. Helenlane Mere Died Oct 1827. 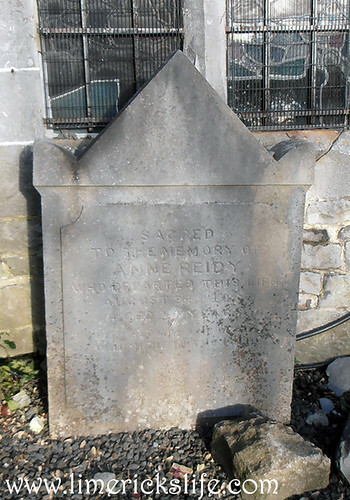 The burial place of Richard Sidley and family erected July 184? 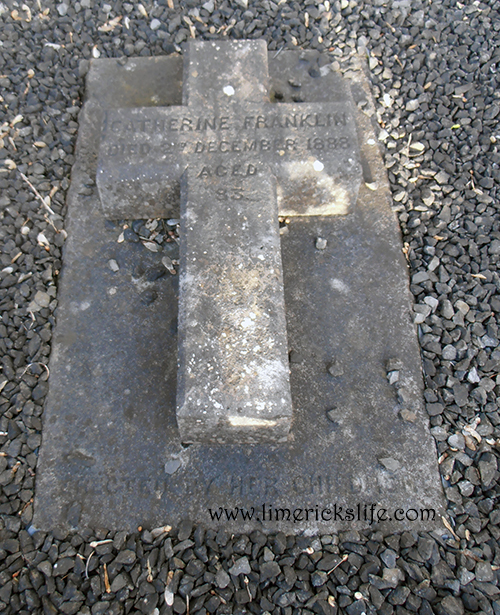 In loving memory of Frederick Cooke who died 23 March 1937 aged 66 years. his wife Mary Anne Cooke 19 July 1943 aged 79 years. 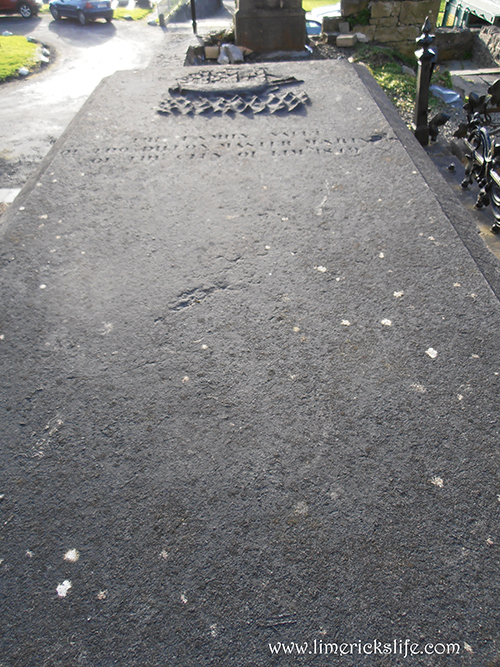 Here lies the body of George Moore who dept this life April 12th 1804 aged 26 years. 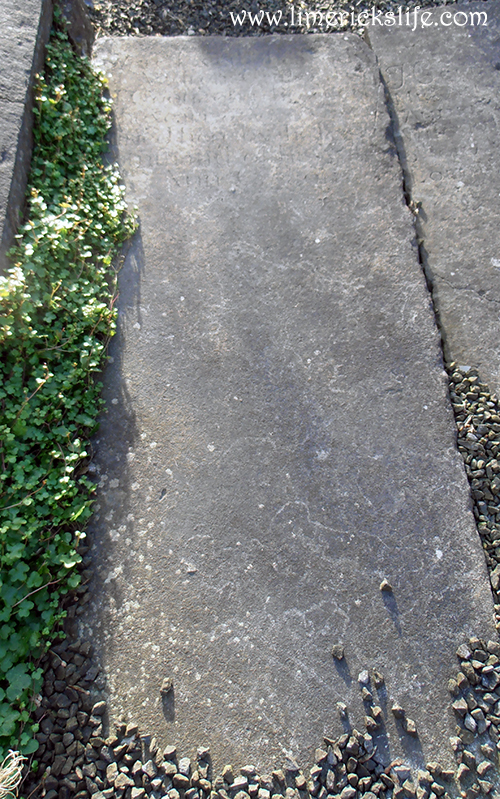 Also here lies the body of John Mullock and Diana his wife and here are deposited the remains of … Percy Mullock Grand, also John Mullock who departed this life on the… September… Ellen Mullock daughter of John …. 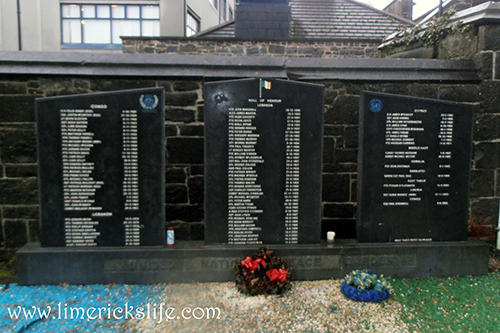 of Dublin who died on the 9th July … aged.. 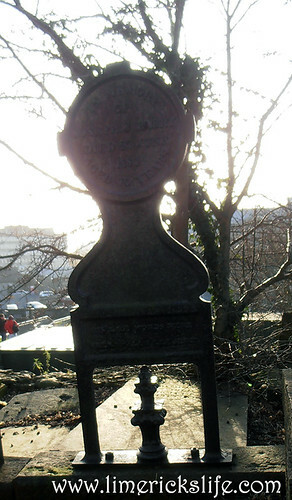 In memory of Stephen Mullock born 23 Feb 1831 drowned 11 June 1849. John Mullock born 15 April 1796 died 22 August 1857. Frances Mullock born 24 Dec 1805 died 19 April 1879. 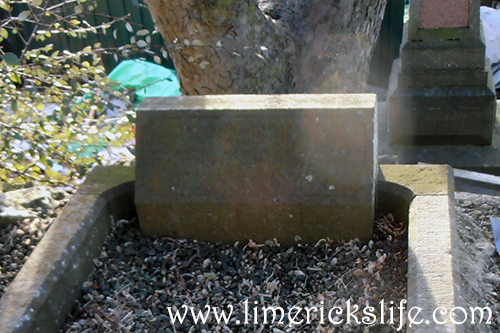 Luke Mullock born 6 Oct 1827 died 2 Oct 1881. 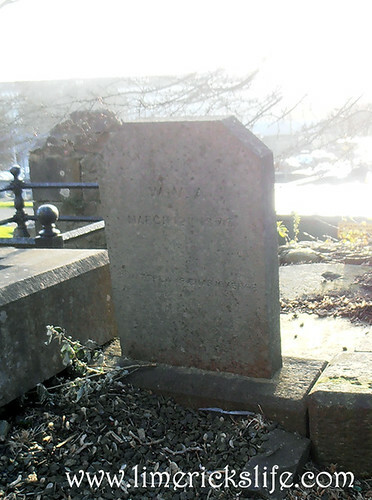 Richard Wilson born 13 Jan 1830 died 5 May 1888. Elizabeth Wilson died Aug 6, 1899 aged 70 years. 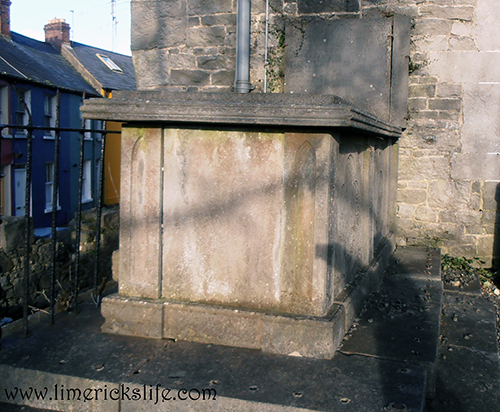 This tomb was erected by Frances Hooper to the memory of her father .. 1817. 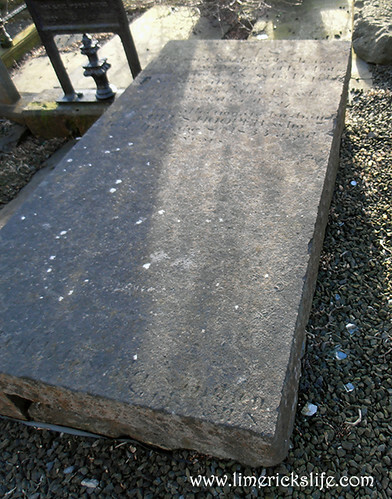 Also her Charles Hooper died April 1833 aged 52 years. I have to get back in there and do the next section.